Poynting Dual-Band Wi-Fi antenna connects to any Wi-Fi access point including new dual band Wi-Fi technology. 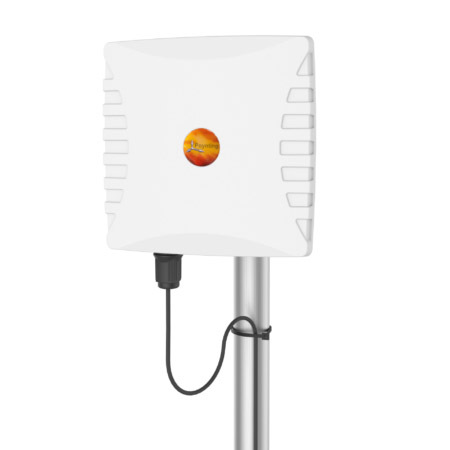 The antenna can resolve channel signal saturation and provide the ultimate in Wi-Fi performance even areas with abundant RF noise and in cluttered environments. 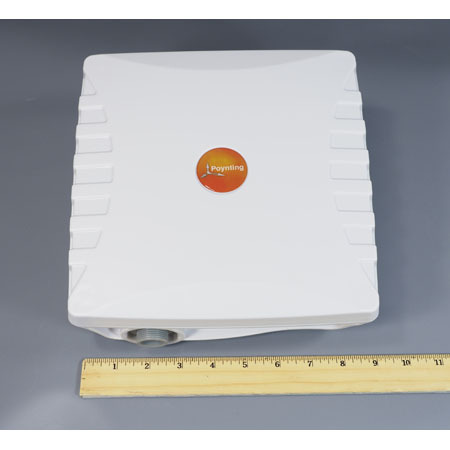 Poynting antenna operates in two frequency bands 2.4 GHz and 5 GHz with 13dBi gain at 2.4GHz band and 18dBi gain at the 5GHz band. The housing is made of ABS which has high impact resistance and is also resistant to acids and other chemicals. The antenna can be opened on the side where an SMA female connector is placed. You can then feed the cable through the bypass gland, which means you don’t have to join the antenna cable to extension cables. This eliminates connector losses and the need for taping and waterproofing the connectors for an outdoor installation.